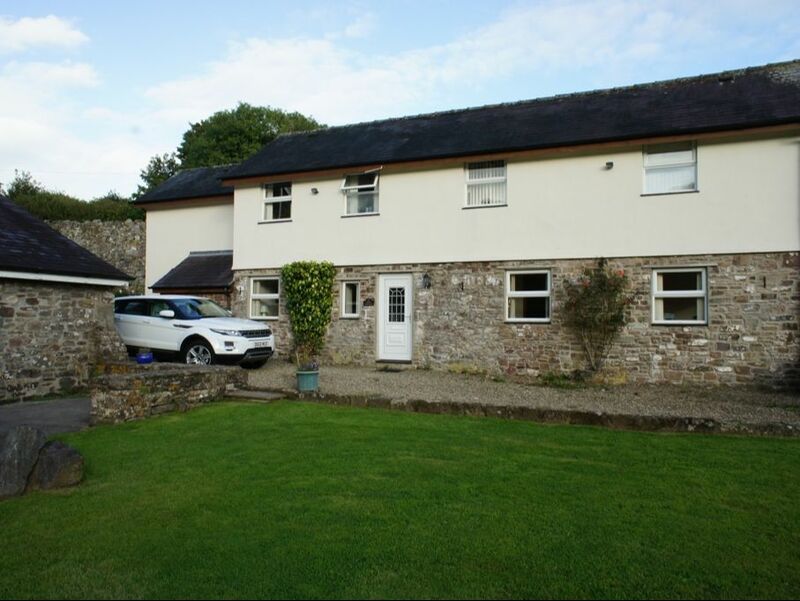 Completely refurbished in 2018, Rose Cottage spans the ground floor of what was once a stone barn (originally converted in 1996). 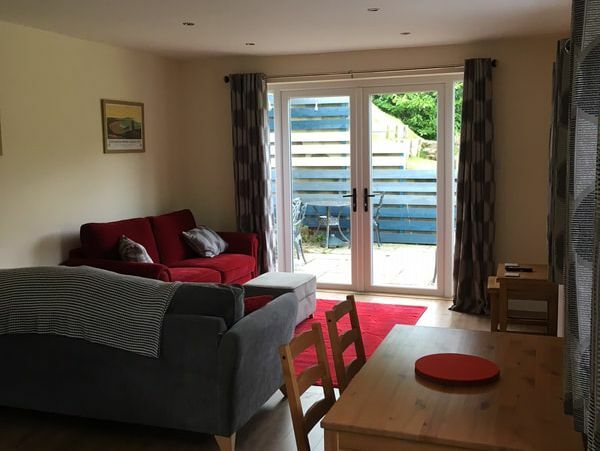 The cottage is all on one level and is fully wheelchair accessible, with extra wide interior doors and ramp access via the french doors to the side of the property. This ground floor cottage comprises of open plan living/dining/kitchen area with direct access to your own private patio overlooking the lake and grounds. 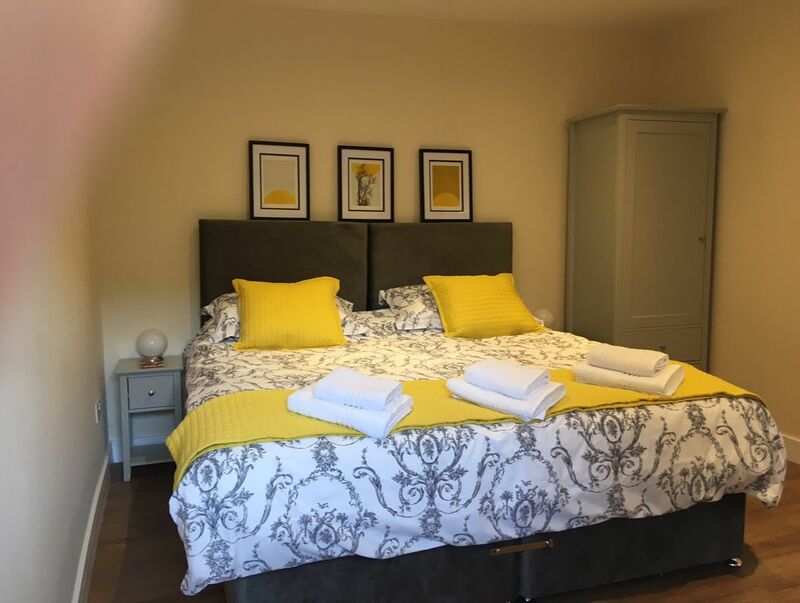 The large bedroom can be configured as either a double (super-king size bed) or as a twin , plus there is space for a child's guest bed or cot. The adjacent wet room is fully wheelchair accessible, with optional grab rails provided upon request. A full size sofa bed is available in the lounge area for 2 additional guests. 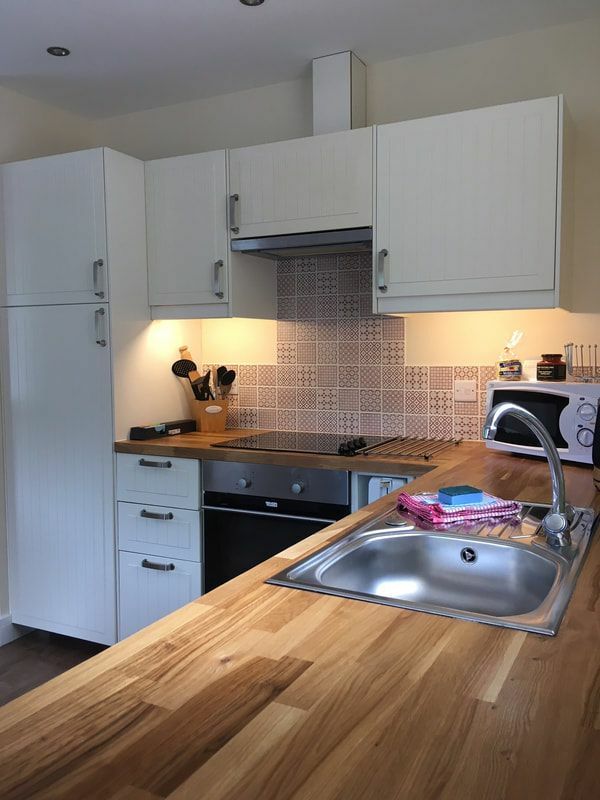 The kitchen contains a larder fridge (with freezer compartment), dishwasher, microwave, electric oven and hob. Also provided is a flat screen TV/DVD with Freeview. All bed linen and towels are provided.